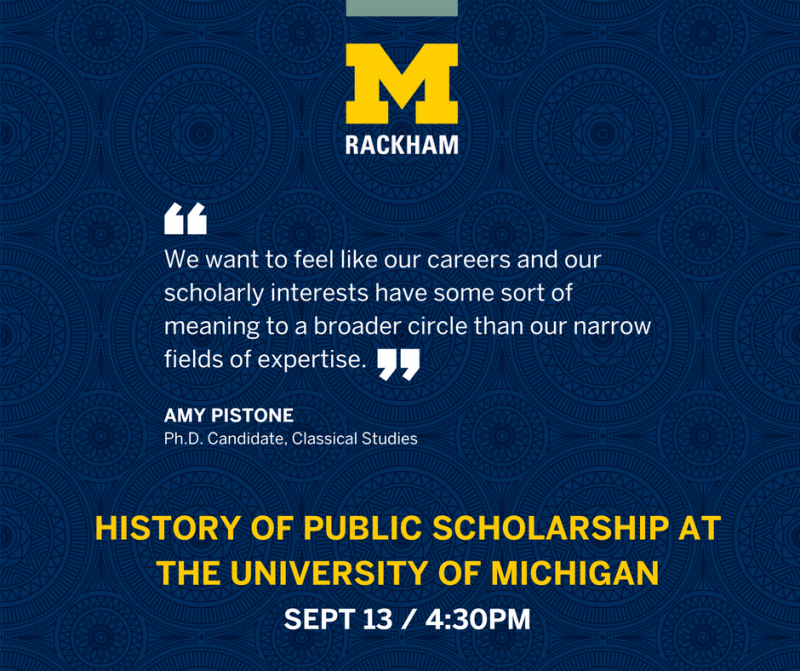 The Arts of Citizenship has been renamed the Rackham Program in Public Scholarship to reflect its expansion to a multidisciplinary constituency of graduate students. 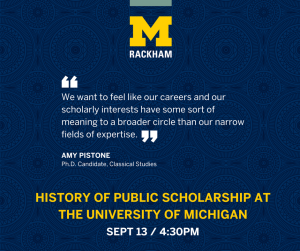 President Schlissel will give welcoming remarks as Rackham hosts a dialogue event of past Arts of Citizenship leaders to discuss the history of public scholarship at University of Michigan, to be followed by a reception with campus and community partners in this work. Please RSVP at the link provided.